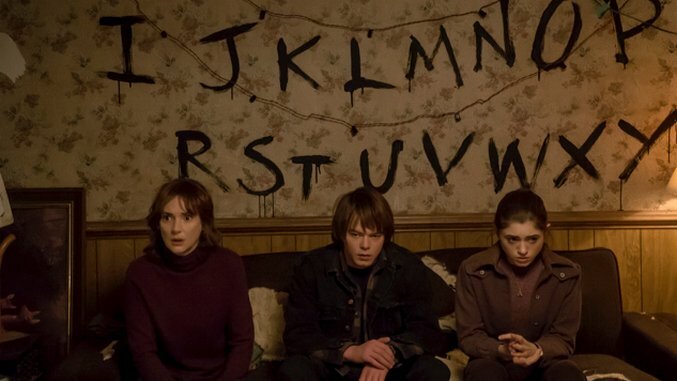 I am very late to the Stranger Things phenomenon, but I’ve binged seven of the eight episodes in the past two days, and greatly enjoyed the experience. However, I couldn’t help but notice that almost every character on the show could use some practical advice about how to behave in a way that best guarantees their safety and is not stupid. The eleven tips below contain some spoilers, so don’t read them if you haven’t watched the show, or the show will be spoiled for you. This one is for all the characters. It seems like a lot of weird stuff happens in the forest in your show, and I wanted to let you know that it’s allowed and even wise to investigate some of it during the daytime. One of the advantages of investigating during the day is better visibility, due to sunlight. When you have better visibility, you can see things more clearly, and it’s more difficult for a supernatural creature to creep up on you. Chief Hopper, I like your style, but I thought I’d point out that no matter how many times you try to sneak into the Department of Energy laboratory, they will always have security cameras. They never go away, and the men who monitor them will always spot you as you try to enter the building. I think this tip will be good to know, in case you ever get into a situation where you can’t punch or trick your way out of it. You guys seem to be okay killing almost anyone, or kidnapping children, or training little girls to murder cats with their brains. Assuming there’s no moral reason preventing you from killing Chief Hopper, I’d advise you to do just that. Bugging his house, like you did the last time he broke in, will only confirm what you already know, which is that he’s going to be a nuisance. You know he keeps poking around the laboratory and asking meddlesome questions and refusing to go away? He’s going to keep doing that, and as long as you’re killing people willy-nilly, he’s probably a good one to kill. As you already know, she can snap your neck with a look, or flip a car in a heartbeat, or do basically anything to protect herself and her friends. All it costs her is a bloody nose. So just know that when you come after her, it will be impossible to catch her, because when you get too close she’ll just kill you with her mind. It’s something to remember the next time you chase her with a car or charge at her, or whatever. She’s going to kill you. Come up with a better plan. Eleven, there’s an awful lot of drama you could prevent just be killing people with your mind. Like Dr. Brenner, for instance. I know he’s your “papa,” but even you should understand by now that he’s a pretty bad guy. Beyond him, though, feel free to just kill anyone in a white lab coat. It is, by far, your most effective strategy. Maybe this is a controversial opinion, but it seems to me that if your child can keep another child living in his room for more than a day in a pretty small house without you noticing, you might be a bad parent. In general, don’t sing at all. When paired with hiding, it’s a bad combination. Tip no. 11, for Tommy and Carol: You guys are awesome.